This month I opted for the Bombshell Julep Maven box which contains two colors from their neons and nudes resort collect, Bette and Ava. I also selected two add-ons, Fiona and Nina. More on the nail polish in a bit. First, the other goodies! I love the hand and cuticle stick that came in the Bombshell box. It's formula is spot on; not too greasy yet super moisturizing! The quick-absorbing formula is made with shea butter and peptides, but no parabens or sulfates. The best part is that the stick is the perfect size to throw in your purse for on-the-go moisture and you don't have to worry about leaks. Julep introduced "Swatch Me" stickers this month and I'm a little torn. On one hand I love the idea of being able to see and know the opacity and consistency at a quick glance, but to have to see them all the time? It's messy looking. I prefer the sleek black look of their caps as is! All in all, the idea is rad and I can totally see it being a huge hit in the lacquer world! Bette was the color I was most looking forward to and turned out to be the most disappointing. The creamy neon purple is without a doubt amazing, but the formula was a little uneven (maybe I got a bad bottle?). It went on irregularly and took four coats to get it to stop looking streaky. But since the color is so fab, I think it's worth the work. Nina is a neon orange creme that pretty much screams, "Creamsicle!" I love the smooth, semi-matte finish it appears to have. Two coats was all it took for this pretty orange mani. Like it's name suggests, Fiona is a very Shrek-like neon green creme lacquer. Like Nina, it went on super well and only needed two coats for a nice finish. The color I was least looking forward to was probably Ava and it ended up being my favorite of the four! I suppose I'm just not drawn to neutrals at the moment, but when I put it on, I fell in love. With just the faintest shell pink to this frost polish, I can tell this is going to be a staple in future nail art posts. So pretty! Did you get a January box? What did you get and which color was your favorite? Not a maven yet? Don't miss out--sign up now! 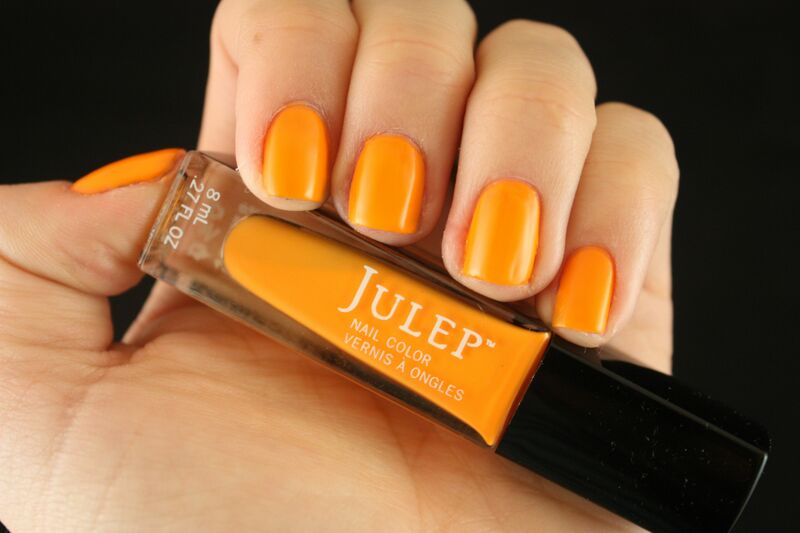 I really wanted to love Julep- but when I got my first box I didn't love the colors nor the finish. Those neon ones are fun though. p.s. 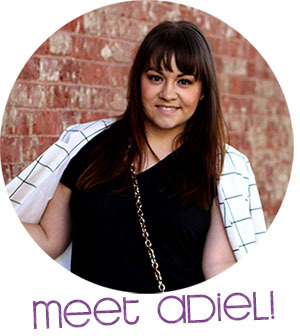 I'm hosting an amazing ShopSeptember giveaway- if I do say so myself! The hair ties look like Twist Bands! The colors of these polishes totally have my heart! I really love that last one, so pretty!